Today marks 150 years since Frank Lloyd Wright’s birth on June 8, 1867. Wright was an American architect, interior designer, writer, and educator who designed more than 1,000 structures - 532 of which were completed. The starchitect believed in designing structures that were in harmony with humanity and the environment, a philosophy he called organic architecture. The FLW Trust is celebrating is 150th with various events this year around the country. A few years ago, the Frank Lloyd Wright House in Ebsworth Park, Missouri exhibited souvenir buildings. Replicas of the famous American Architect Frank Lloyd Wright’s buildings have been created by a variety of companies over the years. Some models are antique and rare, while others are still being produced. Perhaps the most prevalent FLW building replica is the Guggenheim Museum in New York City. Howard Models also makes a version of the museum. 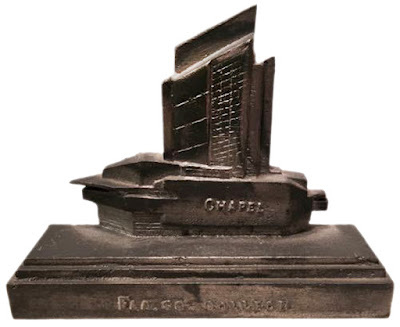 The most unusual Wright building replica might be the set of bookends in the shape of the Annie Pfeiffer Chapel, a Frank Lloyd Wright building at the Florida Southern College Architectural District in Orlando. 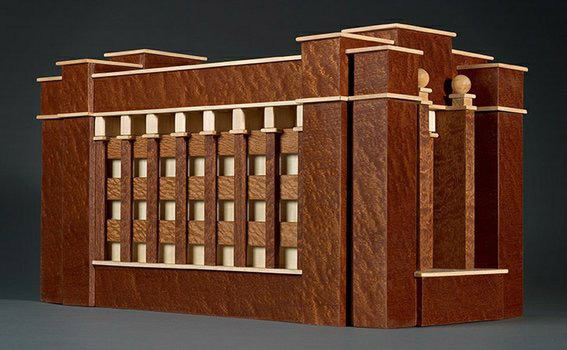 FLW’s Larkin Administration Building, which was in Buffalo, N.Y. Before being torn down, has been made in miniature in both as a wooden box and a resin replica. 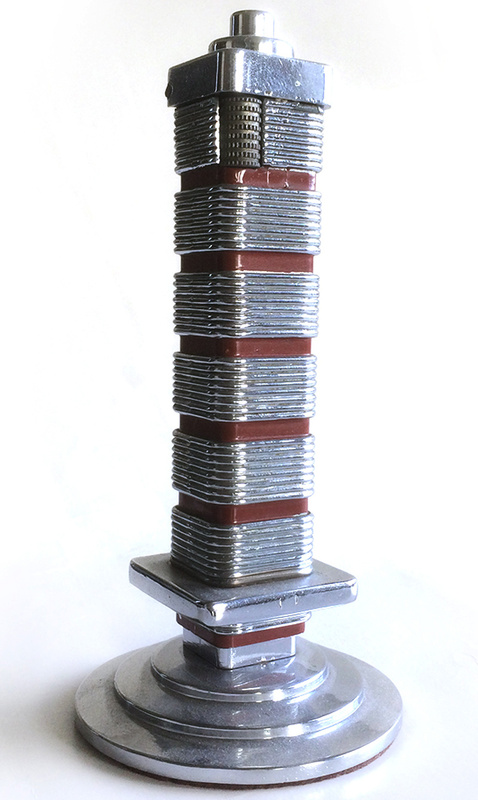 The Johnson Wax Research Tower in Racine, Wisconsin was reproduced as a cigarette lighter around 1950 and also as a wax candle. 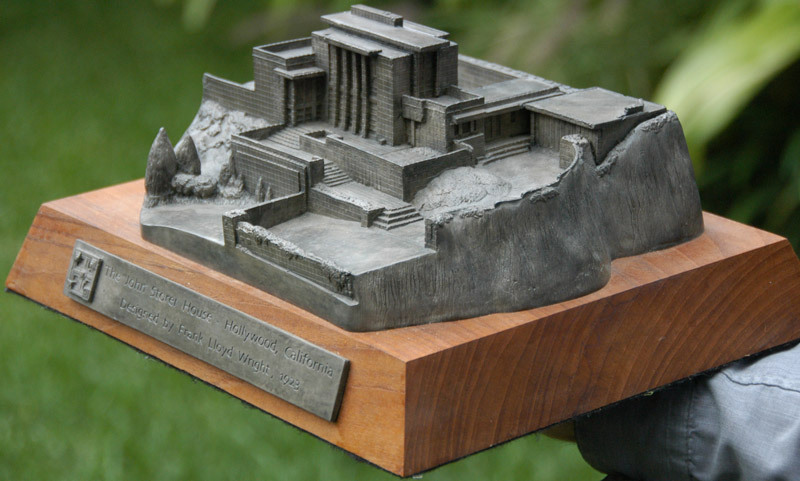 The company, Microcosms, produced two large replicas of Los Angeles’ Ennis House and the Storer House. 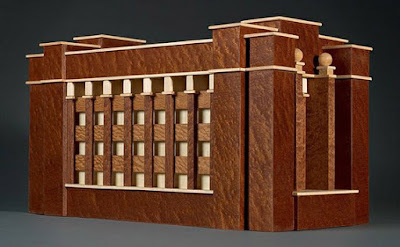 Chisel & Mouse produces plaster replicas of some FLW houses. 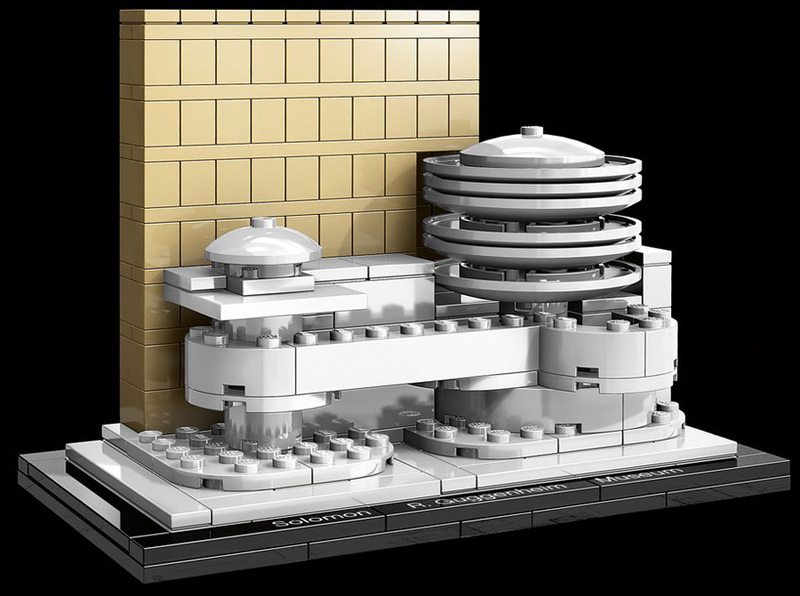 The LEGO architecture Series includes some FLW buildings. 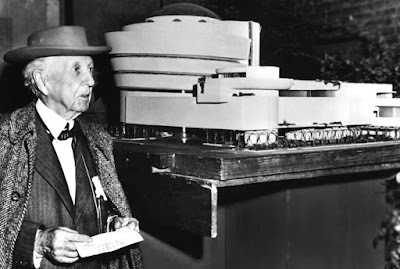 Do you know of other Frank Lloyd Wright designed buildings not pictured nor mentioned here? If so, let me know. 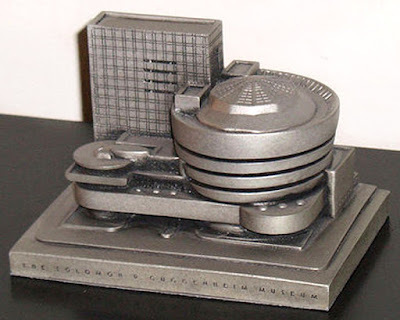 I collect 3D souvenir building replica of architecture from around the world made of metal. If you have any to sell or trade, contact me via my email address in the “complete profile” link at the top right of this blog.